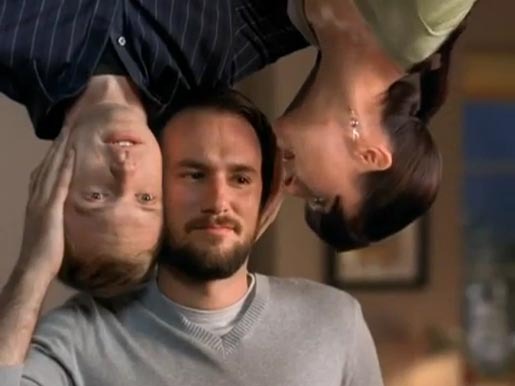 Vonage has been promoting high quality local and long distance VOIP services with a series of three commercials featuring callers who speak tête-à-tête (head to head). In “Karen” two callers, Dave and Bill, stay in touch by phone despite living in very different parts of the world. In “Rattle” two friends, one in a frozen wilderness, the other on a tropical beach, discover they are very very close to each other. In “Dinner Plans” Steve and Matt discuss dinner plans on the phone. Each of the ads suggests that Vonage service is like speaking with no phone at all, right on top of each other. The campaign won a Gold Film Lion at Cannes International Advertising Festival 2010. The Vonage campaign was developed at TBWA\CHIAT\DAY New York, by chief creative officer Mark Figliulo, creative director Jonathan Mackler, art director Richard Ardito, copywriter Grant Smith, agency producer Jason Souter, executive producer of media arts Matt Bijarchi, brand manager Jonathan Lee, account director Andrew McCree, director of broadcast production Ozzie Spenningsby. Filming was shot by director Tim Godsall via Biscuit Filmworks, Los Angeles, with senior executive producer Shawn Lacy, executive producer Holly Vega, line producer Rick Jarjoura. Editor was Ian Mackenzie at Mackenzie Cutler with executive producer Melissa Miller, assistant editor Mona Salma, and sound designer Sam Shaffer. Audio was mixed at Sound Lounge by Tom Jucarone. Animation was produced at Framestore by head of production Laney Gradus, CG supervisor/lead Flame artist Murray Butler. Colorist was Tim Masick at Company 3. Graphics were produced at Brand New School by executive producer Ned Brown and head of production (graphics) Darren Jaffe.